Here is Northern Canada, we’ve already had our first snow fall! With Hallowe’en behind us, and snow on the ground (even if only temporarily…), you know I’ve pulled out my Christmas decorations already! 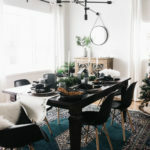 Christmas is my favourite time of year, so I couldn’t have been happier when a fabulous group of Canadian bloggers decided to get together to DIY some early holiday wreaths! 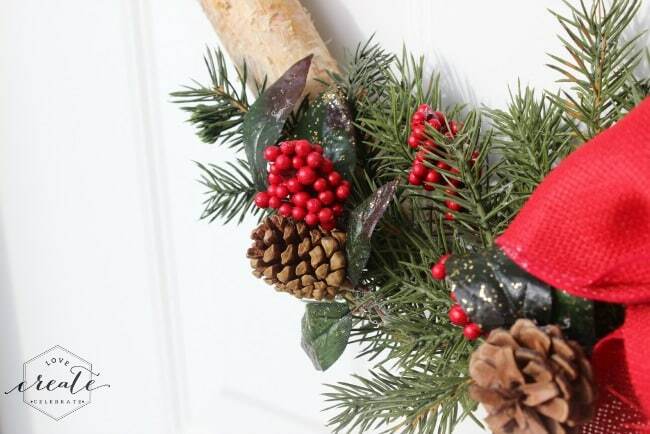 Now, time to get into the holiday spirit and share my Birch Wood Christmas Wreath. 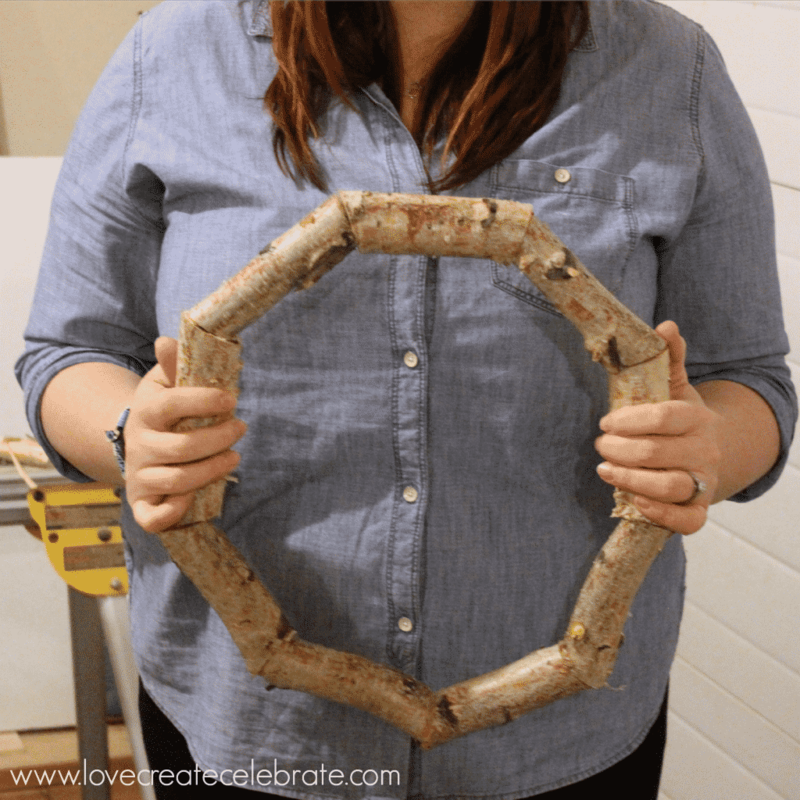 I actually made the wreath base for a winter wreath last year. 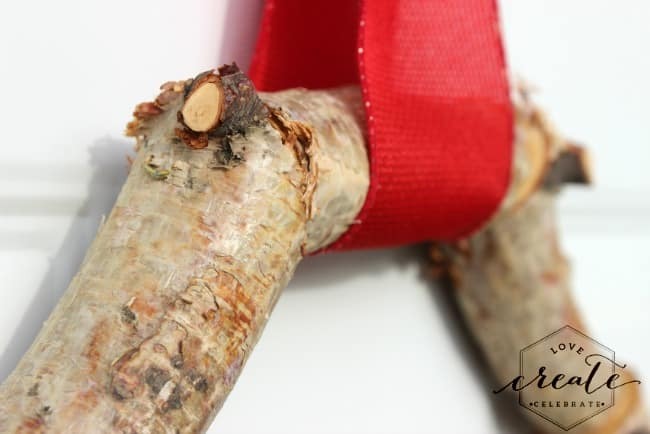 If you are interested in making your own wreath from a birch branch, I shared the whole birch wood wreath tutorial here. This year, I simply changed up some of the decorations. 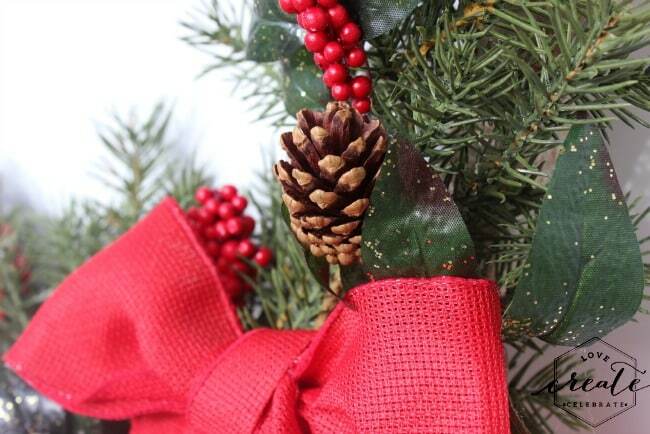 I decided to stay with the classic red & green theme, adding a few pinecones and berries to fill the space. I am definitely not a ribbon-tying expert, so I kept that part simple too! My husband thinks it still may be too early to put a Christmas wreath on the front door, but I’m already in the holiday spirit! And doesn’t it look great?! 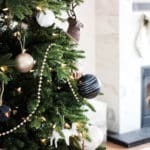 Be sure to visit each of these amazing Canadian blogs to get ideas and inspiration for your own Christmas wreath! 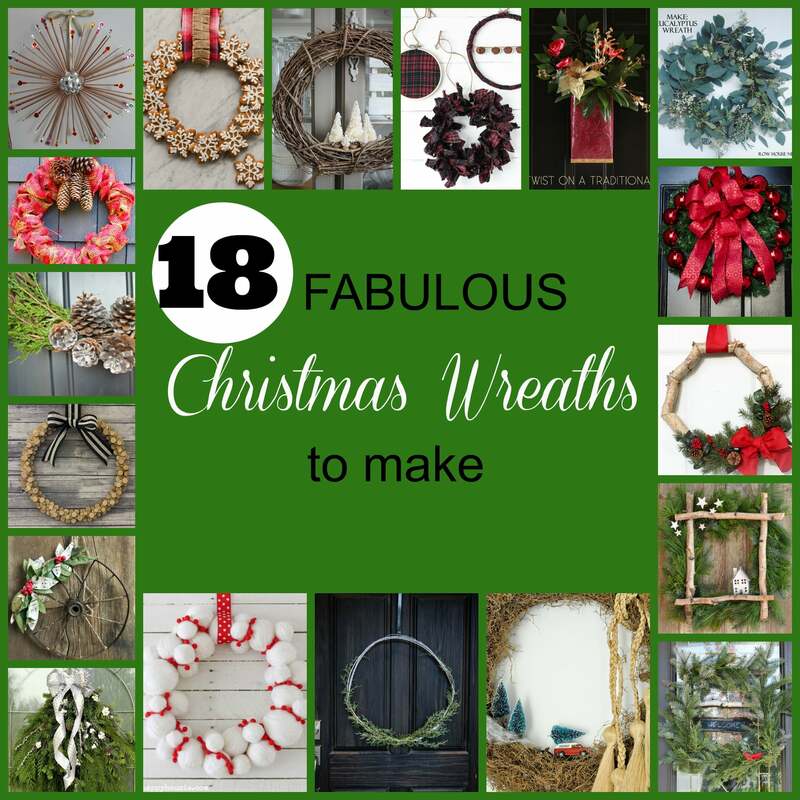 And if that isn’t enough inspiration, check out these other great wreaths! I’m not sure what it is about birch but I adore it! This wreath is stunning! Pinned! That wreath base is ridiculously awesome! Thanks! It’s really not too hard. You should give it a try! I don’t think you can go wrong with birch! 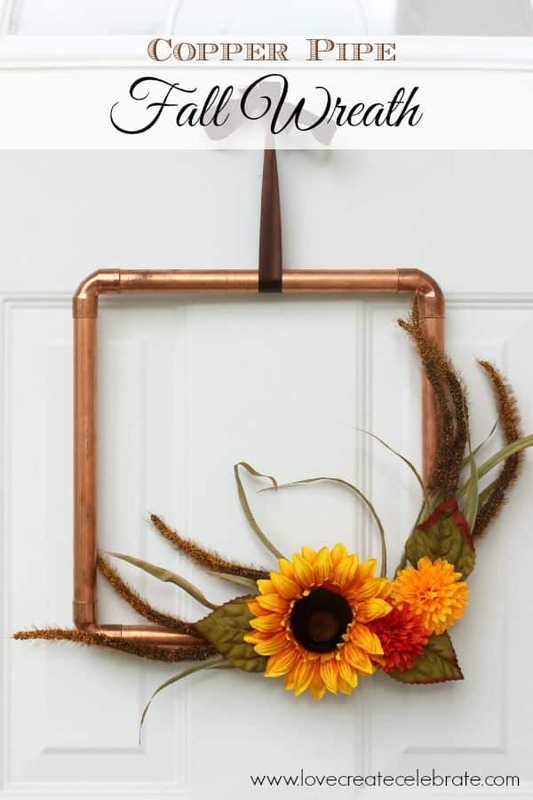 Love the wreath – great idea. I love being able to reuse items I already have around the house. Thanks for stopping by! tell your husband its not to early. We’ve had snow already! 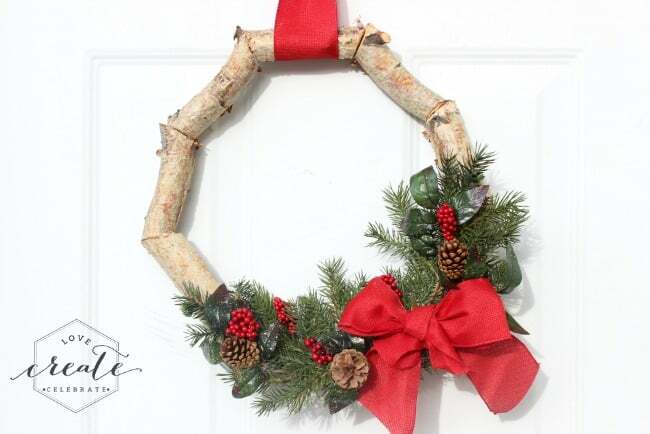 lol I love the use of the birch to make the wreath. 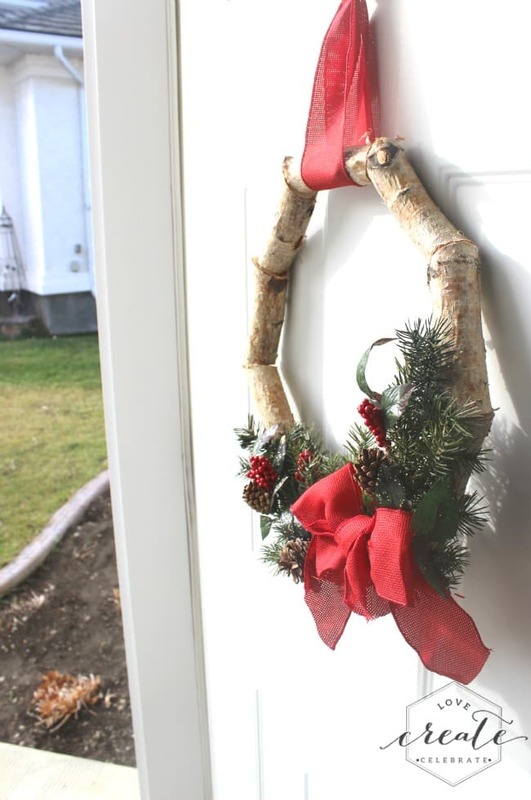 The birch wreath form is all kinds of awesome! I would re-use it every year too! Thank you Andrea – I always find myself reusing my favourite projects, lol. We both love copper and birch, lol. Your wreath looks great. Haha. We should collaborate more often! Your wreath turned beautifully! I love it’s unique shape and how you used natural materials. Interestingly I really know how to make different kinds of bows and I share a tutorial about how to make them on the blog in this blog hop! My bow is quite large but you can use narrower ribbon and make smaller loops to make a smaller bow. Thank you for the tutorial. It will definitely be useful in the future!! I love this Lindi!! I love birch wood & the simple greenery you added to the bottom. So festive, traditional & I NEED it ha!!! Happy Wednesday friend!!! Thank you :) You should make one for yourself! Lovely wreath. I like the unique shape and use of materials – classy but kind of rustic and natural. Thanks for sharing with us at the #HomeMattersParty link party. I’m always mixing rustic with other styles :) Glad you liked what I came up with! 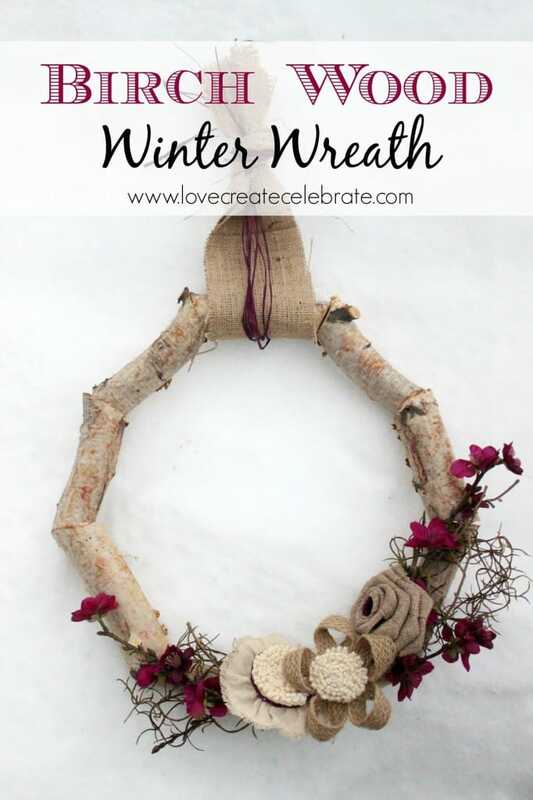 I LOVE every wreath that you create, and this one is no exception! 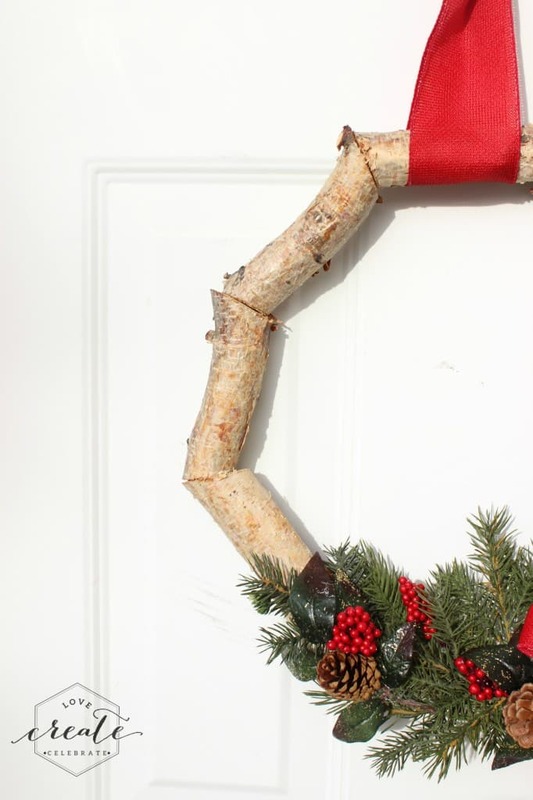 Birch wood is one of my favorite, and I really like how you used the branches long way in your wreath. Beautiful! 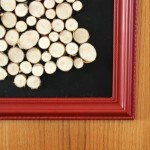 This is so creative, I love wooden crafts! Perfect for the winter and Christmas! Me too! Any craft with wood and I’m there! Especially natural wood like this! I don’t blame you, I would have brought out my Christmas deco as well! We used to live near Toronto, ON and at this time of year I had everything out ususally! Now we are in Spain, and it’s still warm and so sunny, I think I will wait a bit longer… I love the birchwood wreath, it’s amazing, the colours and everything!!! This wreath is just beautiful! Love it and how simple it is to make. Thanks for linking up at The Creative Corner Link Up. I’m a new host and can’t wait to see what fabulousness you link up next week! 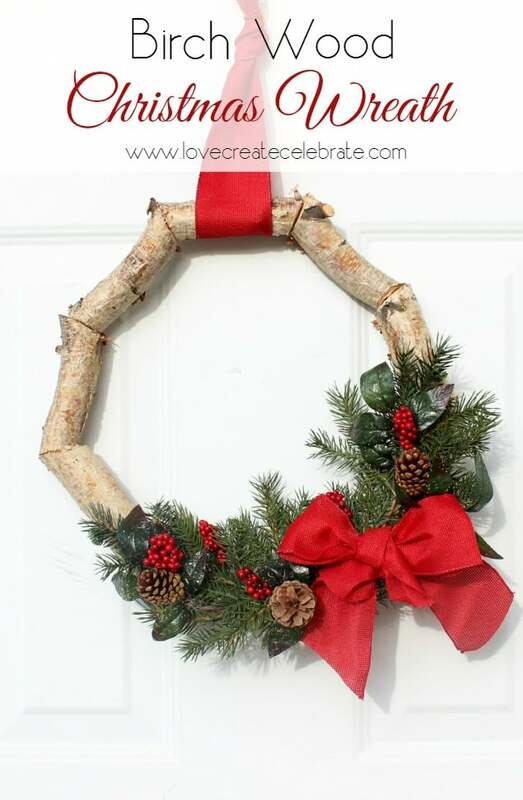 Hi, Lindi ~ Wanted to pop in and let you know that I chose your Christmas Birch Wood Wreath as my feature this week for the Merry Monday Link Party! I love how creative the shape is, and I’m a huge fan of natural elements. Thanks so much for partying with us! We hope to see you again this week. I love this wreath, Lindi! I think I’m going to have to make myself one! Love the wreath examples, and I will have to try the wagon wheel one as I have 2 in my back yard. Get ideas. 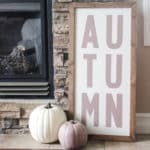 I love this birch wreath Lindi! It is so fun! 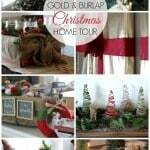 Thanks for linking up, and you are getting me excited to pull out Christmas decor! !